Dear reader I hope you are resting and effortlessly drinking good tea on this Labor Day. 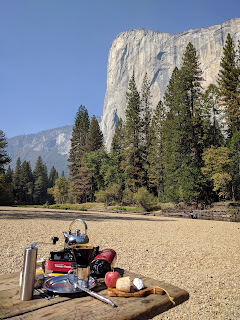 My hubs is away on a rafting trip which in previous years meant days of serious weekend brewing from dawn to dusk. These days I continuously brew leaf and bean but without quite the analytic fervor that made for years of enthusiastic tea blogging. Now days, I mostly wanna have just a good time but today I hunker down to capture a few observations on the impact of dietary changes on tea taste. Good times! Is a brain fueled by fats any better for tea enjoyment? 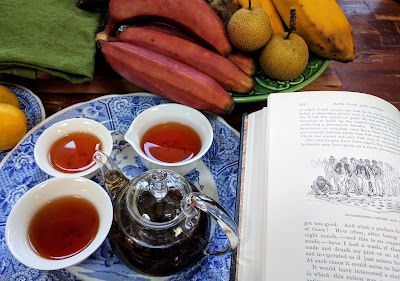 When you severely restrict food types subtracting the very edibles that make life so worth living, tea becomes one of the few remaining sources of gustatory pleasure. On the upside, my palate is hyper sensitive to sugar. Oolong has become my dessert of choice and I'm exceedingly grateful I even have oolongs as a worthy substitute. 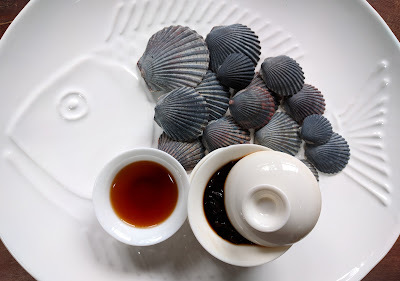 Life without fruits once unthinkable (those plump juicy orbs how I miss you) has been endured with cups of oolong. But unexpectedly, the sweetness in shus I used to taste has been overwhelmed by a more mineral and umami profile. A baseline brick shu I've drunk a lot now tastes pleasantly of the sea. If I were to compare taste memories, this single tea has become almost two different teas. On the downside- teas also taste dryer in the mouth so astringent shengs are decidedly out but I've been in keto adaptation for only two weeks so I need to give shengs a more thorough sampling. From the decades of tea drinking, I've found my own physical apparatus to be the least reliable and most variable part of the equation. There are many easy and not so easy ways you can manipulate your palate at a physical level from inducing hunger to increase olfactory sensitivity to the more extreme method of carb deprivation. (Mental tamperings I leave for another post.) 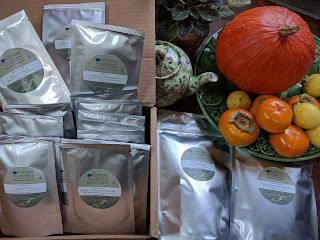 Rather than trying yet more new teas, I find altering myself to experience different dimensions of the same teas deeply more satisfying and worthy of further investigation. Recently I've been trying hard to return to India black teas in the morning and it feels all wrong- way way too wimpy. Had I really relied on this weak brown water for decades to start my day? I regret boarding the coffee train only for the way my old drugs have lost their powers. But I am baselessly confident this coffee fling will blow over by end of summer and I'll be happily slugging hong cha by the gallon come winter. 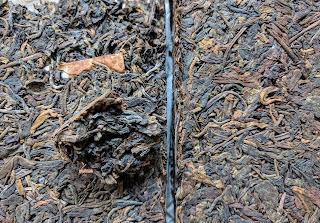 The one tea which still solidly holds it's own is oolong. After dinner, I often brew up an oolong to share with my husband. They behold a delicious succulent loveliness that has no comparison to coffee and can do respectable double duty as dessert. 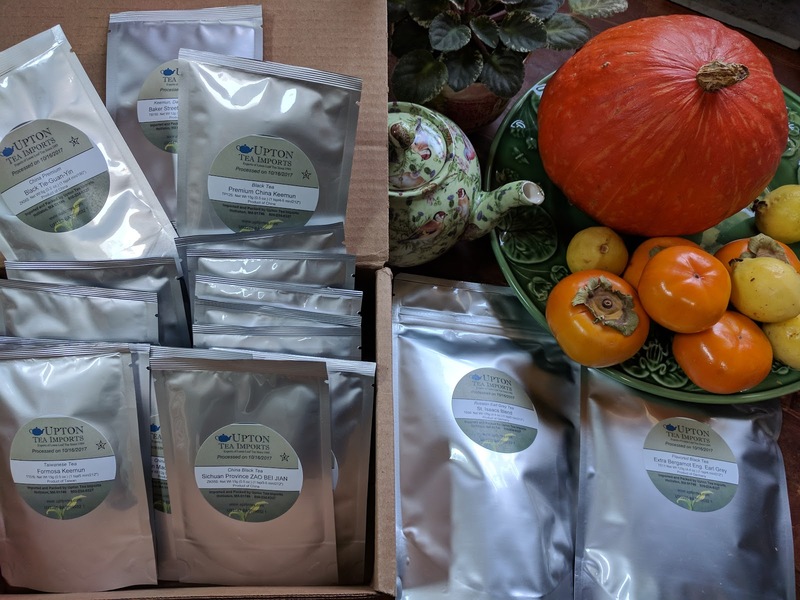 I've been drinking my way through a box from Taiwan Sourcing last year- I had to replenish the home supply last week. This here box of oolongs is my only serious tea purchase this year. Their small curated inventory tends to be much above average with some fantastic gems. 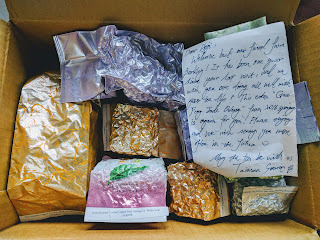 I chose the 2016 bug bitten honey aroma oolong last year as my gift tea selection- the honey aroma is almost too decadent. 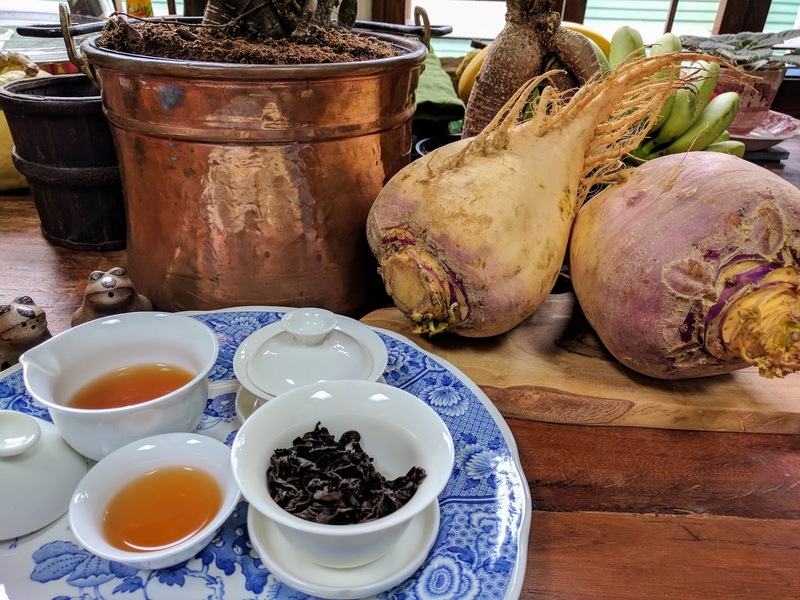 Most importantly, their oolongs have been gently agreeable to the body which makes me wonder why I've ever been game to take on combative stomach kickers. Just like California living, oolongs make you soft but I no longer mind. Coffee is definitely now my summer fling as I recognize I cannot seem to give up the habit despite repeated attempts. My coffee education continues apace as the world is going through a golden age of coffee worship and there is no shortage of books, videos, podcasts, mountains of growing web material on every aspect of the bean. 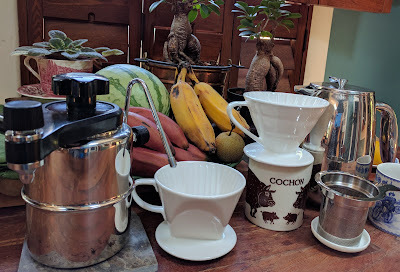 My initial humble goal of learning how to make a good cup of coffee for my one customer now fulfilled(nothing fancy, dark and strong), I am free to experiment for my own preferences. 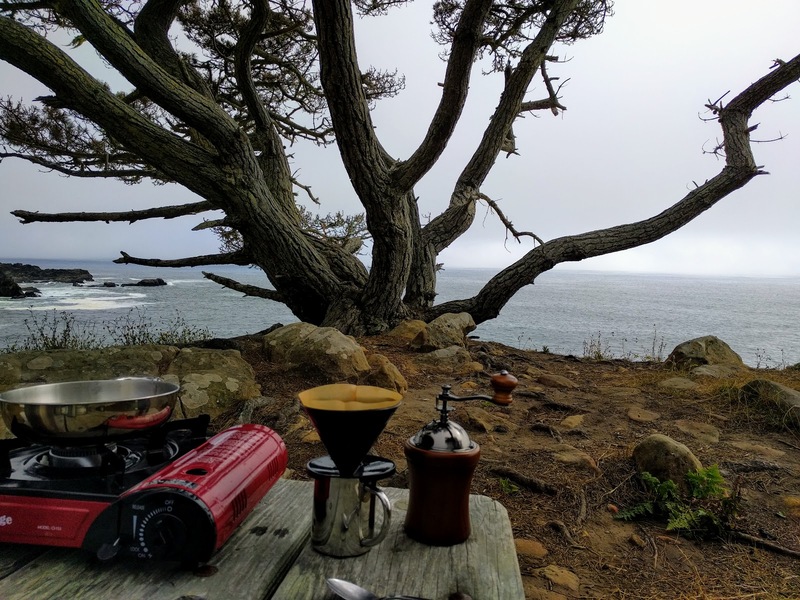 There is real freedom in being a newbie without the baggage of entrenched notions of good or bad- I vow not to be one of those insufferable coffee snobs going on and on about the necessity of burr grinders. Roasted beans have a dangerously short shelf life preventing any sort of hoarding. 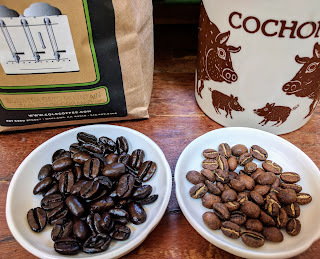 I allow myself at most three simultaneously open bags of beans so I end up experimenting with brewing technique to get different cups rather than getting more beans. The sheer range of available brewing implements for coffee outstrip what is available for tea. Humans have creatively exploded the simple concept to applying hot water to coffee grounds to extract drinkable stuffs. I decided to exercise moderation in limiting coffee brew toys to what can fit in a small box. 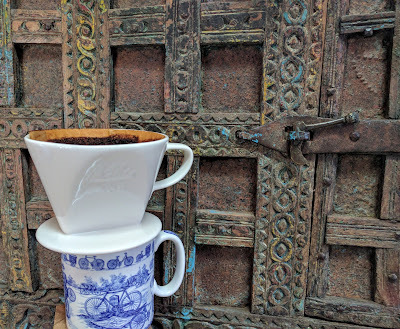 Since my husband already had a french press and the stovetop cappuccino steamer, I added two ceramic pour-over filters of different designs to start although I am ogling a glass vacuum siphon. When you brew tea- one can fall prey to the mythical notion of a singular perfect brew. I find there exists much narrower range for a well brewed cup of tea of the same set of leaves than coffee. 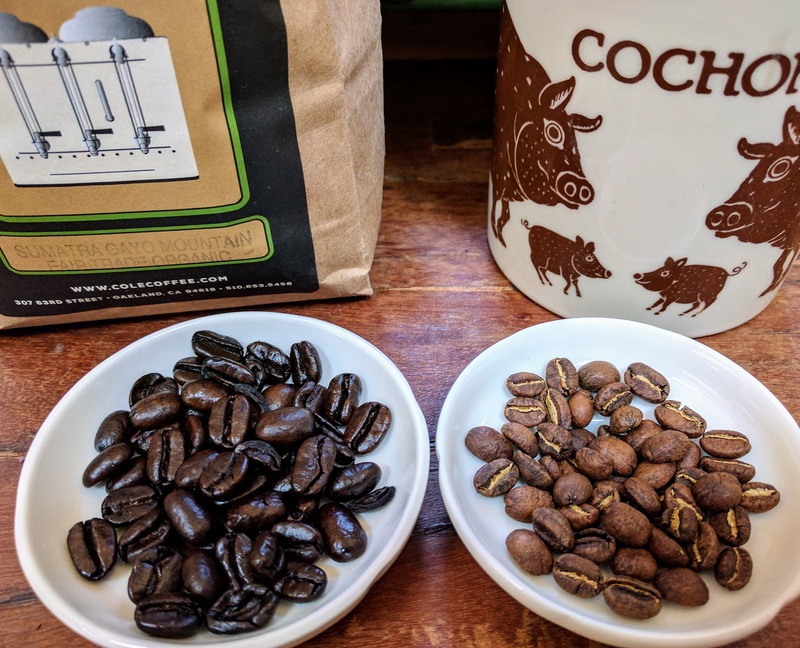 My big learn for last month was that one can get vastly different flavors, body, mouthfeel out of the same beans that are equally pleasurable. A pour over through a paper filter yields a clean cup with high notes while a french press gives up an equally delicious chewy cup of murky muggy coffee. Neither is particularly superior to the other and there is ample occasion for both styles. Gaiwans vs yixing teapots yields slightly different brews but nothing as dramatic as this. I also learn the hard way there is no universal good cup of coffee when you are trying to please one person. The golden ratio of coffee to water is useless theory at least in my household. I carefully and mindfully made my husband a cup using a digital scale to ensure I poured the exact right amount of hot water. A total bust- my cup was derided as being weak as my one customer likes it 4x strong- a level undrinkable for most. Immersion style brewing like the french press lets through more of the volatile oils but our french press is big, ungainly, and opaque. I spied on youtube someone using the Lifetime stainless steel tea filter as a budget alternative to the pricier metal filters but I now realize my dad had been making coffee this way for years and I had never paid attention. I happily find I have more control with this simple tea filter which can be used as an immersion filter or a pour over filter suspended on a taller cup. It is the best of both worlds, I gets me a chewy dense yet floral cup of coffee with light roasted Ethiopian beans. 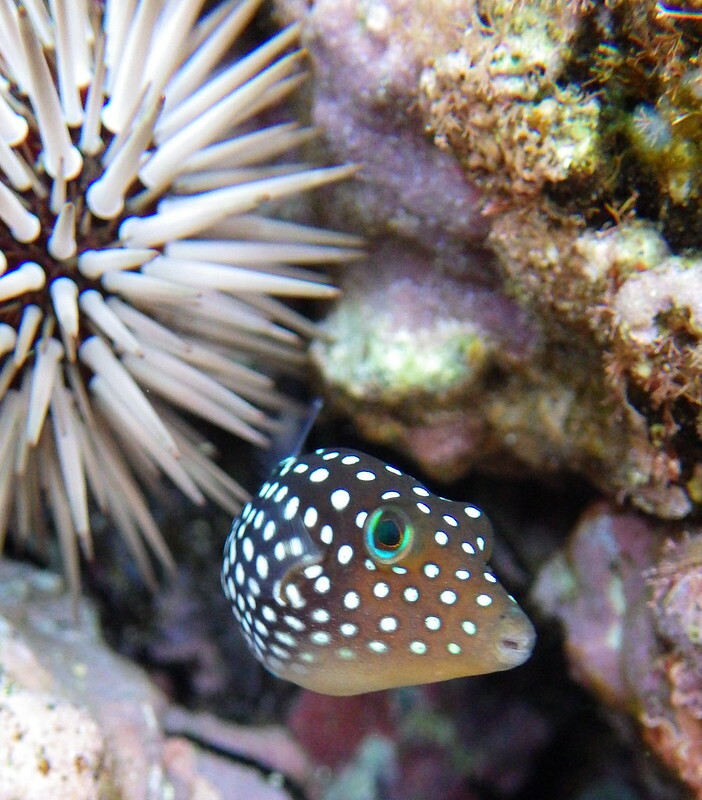 Dear reader, this is not a belated April Fool's post. There has been more than a few days this month I have imbibed more coffee than tea. Considering I've had less than a gallon of coffee my whole life before this month, I slowly see now that matcha was the gateway drug. I couldn't drink even a half cup of decaf coffee previously as the caffeine would be powerful enough for an involuntary all-nighter. But I have been slowly upping my daily matcha dosage for months until I was doing a four tablespoons a day without a buzz. It's frightening how quickly a coffee habit can replace a decades long morning tea habit. Two weeks ago I started to take the second or third brew off my husband's morning coffee for a wee extra bit of caffeine and here I am. 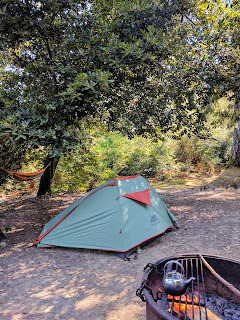 Part of me wants to nip it in the bud and return to tea A.S.A.P. I don't want to be one of those groggy grumpy morning monsters who cannot get started without coffee. But a part of me just wants to go the full length and go deeper with the bean. As the quartermaster for all edible supplies, I been dutifully buying coffee beans for my husband pretty much randomly as my husband has a low threshold for satisfaction. Most coffee in the $8-$12 mid range tends to be pretty good as competition among the roasters are fierce. But in the last two months I started sampling the coffees to try to procure a better cup for my man. 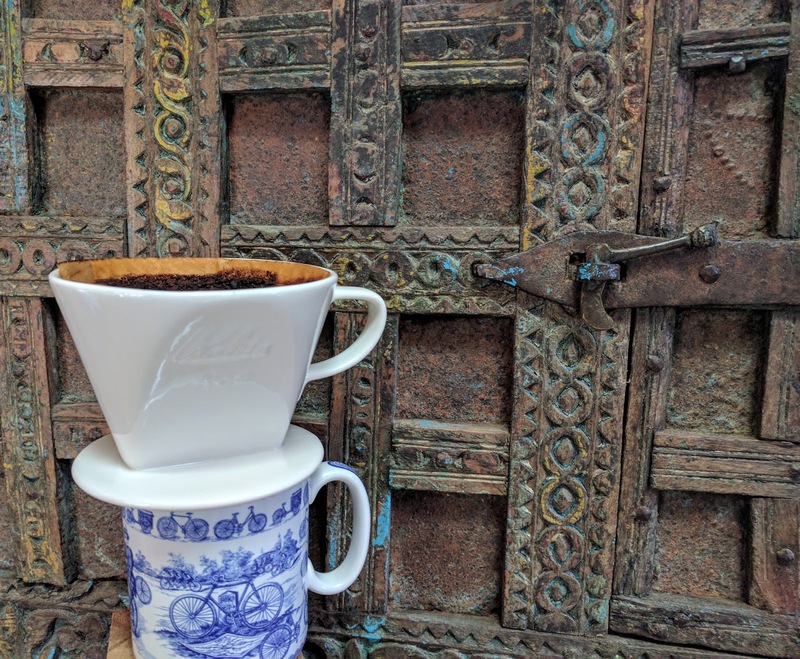 Training my palate little by little, I find Ethiopian Yirgacheffe with fruity floral high notes to be a pretty cup- very much like a Yiwu. But coffee is mostly a functional beverage for my husband and he wants a robust and flavorful cup. If I want fruity floral high notes, I better stick to my oolongs. I am presently escaping the Bay Area monsoon season for a still rainy but warmer corner of Kapoho. The Big Island of Hawaii has some perpetually sunny zones but I've fallen in love with the quieter overcast southeastern side. These black lava tide pools hold such an exquisite treasury of marine life that I've returned here four times in the last 10 years. 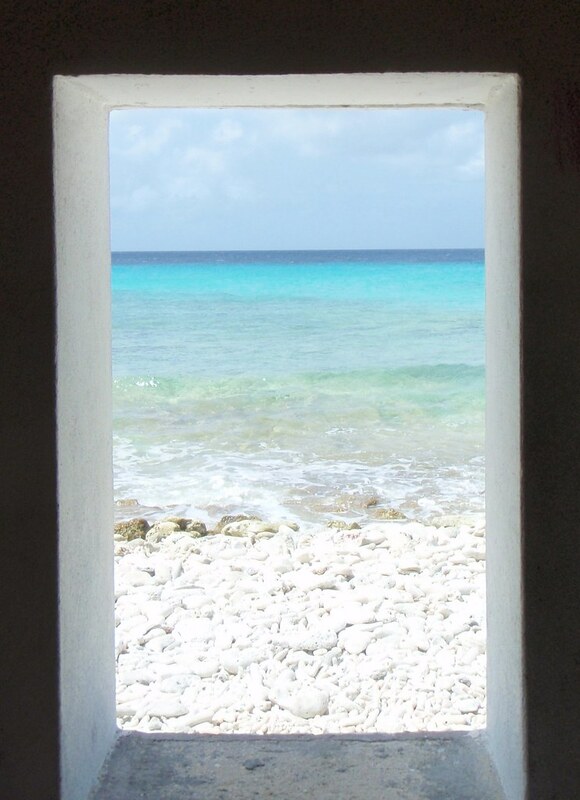 I rented a house direct in front of this magical snorkel zone so I can snorkel my eyes out daily but one can only snorkel for so long. Lazing about brewing teas goes second right before hot tubbing on the list of hard work required in filling out a productive vacation. 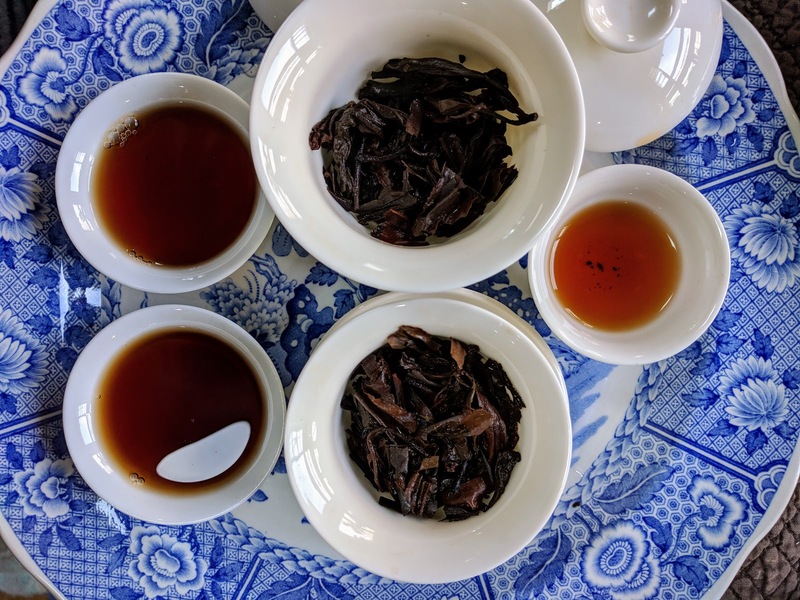 Roasted oolongs and hong cha dominate the daily brew. Thematically, a flowering feng qing(in the gaiwan) matches best the sea urchins and soft corals one ogles in the tide pools but taste wise it's just dependable ho hum hong cha. The laid back vibe penetrates one thoroughly here and I don't worry about drinking the right or best tea. Just happy to have tea and these bound nuggets are easy brewing. 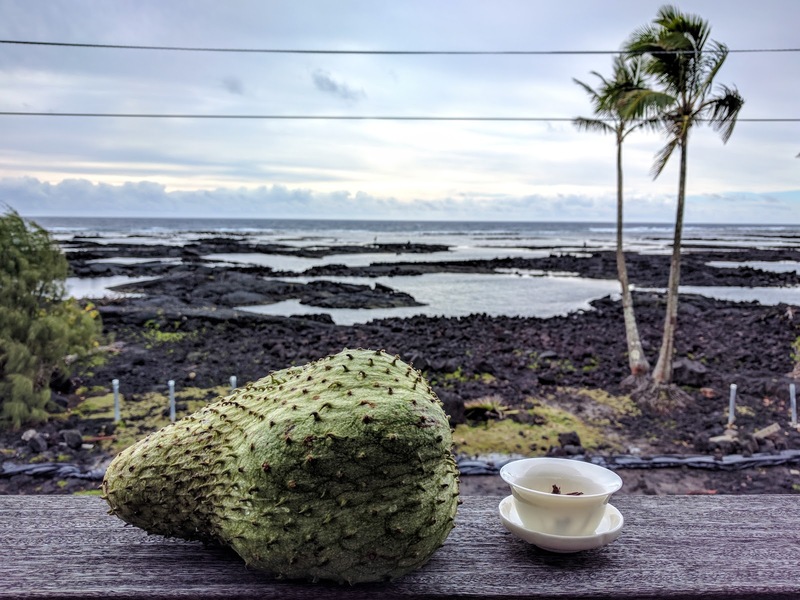 The green prickly thing is a soursop with a pleasantly tangy but fibrous interior. One of my few regrets this vacation. 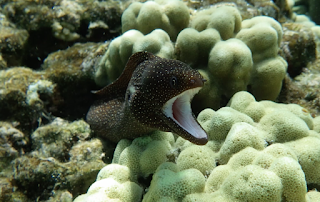 My birthday present from the underwater world yesterday was spotting three different types of moray eel but I could only snapshot this white mouthed eel who was defending his hole.